We love making Apps. We want you to feel the love when you use them. Our Apps are designed for maximum funness. 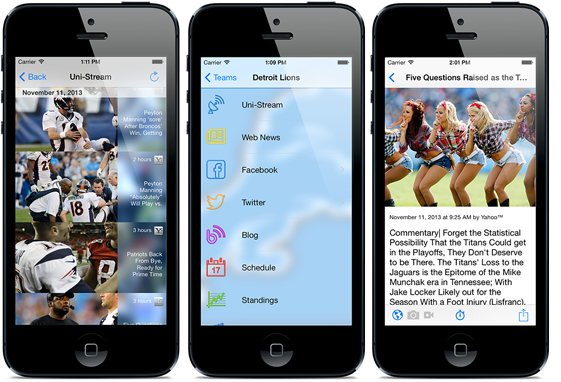 You gain access to news, feeds, Twitter, Facebook, YouTube, videos, music, photos, calendar, schedule, injuries, and much more! Our GeoFence apps will keep your family safe, or your workers on track - No big brother role, nor time wasted. We make Apps that make work fun, and transform your task into pleasure. Tired to see pictures of oversized men playing with each other? Try our two, exclusive, cheerleader modes. © 2013 distractedApps. All Rights Reserved.